Southern based Rye Demolition are a company well known for taking on large and complex demolition projects. 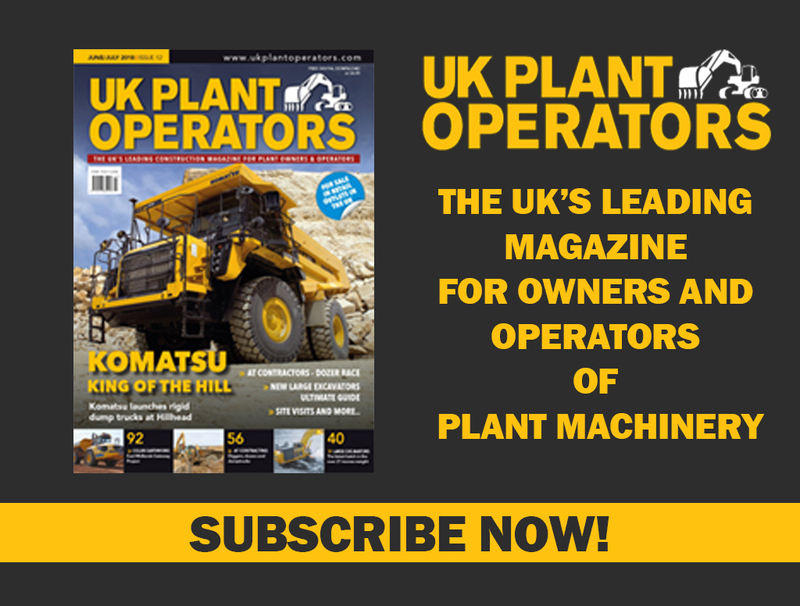 With an impressive variety of machines and attachments on their fleet and at their disposal, it is easy to see why they are well equipped for challenging projects. Recently winning the two-year contract to oversee the demolition and ground remediation of the former Kodak factory in Harrow, North London. Kodak’s first facility to open outside the US was located in Harrow, on a seven-acre plot of land. Opening in 1891, the site was originally used to develop photographs and kept around 100 chickens on site to supply the egg white required to coat the paper. Production of photographic film ended in 2005, owing to the increasing popularity of digital imaging. As the demand for photographic prints dropped, so did production at the Harrow site. Closure was announced in April 2016, and production ceased in December 2016. What is now left on the site appears a large and daunting challenge for Rye Demolition, as well as the high and imposing brick façades, the Kodak factory housed internally many heavy industrial metal structures. One challenge for Rye demolition is the complexity of cutting up and removing the myriad of redundant turbine and lubrication systems, alternators, control panels and miles and miles of metal flue and piping which remain inside the huge building. 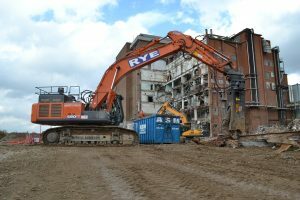 Prior to starting work on the former boiler room at Kodak, Rye Demolition Managing Director Simon Barlow knew that a tough hydraulic scrap shear was going to be required to tackle the project. Simon approached Warrington based attachment specialists ECY Haulmark Limited as they exhibited at the Hillhead quarry show back in June 2018. As distributors for the VTN Europe brand of attachments in the UK, ECY Haulmark Sales Manager Steve Parker recommended the recently remodelled CI5000R scrap shear as the perfect shear for their new machine and for this type of work. The VTN CI-R series has recently been re-designed and re-modelled specifically for heavier weight excavators, working in the processing of heavy duty metals and structures. 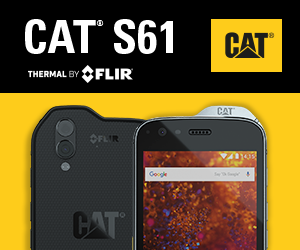 With emphasis being focused on the well-arranged assembly and top quality hydraulic components. The jaw type and wide mouth opening have been designed for grabbing and cutting all-sizes of materials and thanks to a dedicated speed valve the CI-R shears optimize the cycle times. Whilst the piercing tip is made of one unique piece, with four-times replaceable blades. The new jaw alignment guides together with the fixed jaw fulcrum pin grant for very precise material cutting. The rotation system, with double bearings in row, allow operators to gain a perfect position of the material to be processed, helped also by the break system inside the swinging motor. The CI5000-R shear has been dipper mounted onto Rye Demolitions Hitachi Zaxis 490LCH excavator. This being a five tonne shear, with a jaw opening and a depth of more than 740mm, unleashing a cutting strength of 890 tonnes distributed among the kinematics of the jaw. Suitable for excavators from thirty tonnes up, it is capable of cutting steel surfaces thicker than sixty millimetres. The machine in question is being operated on the Kodak site by Rye Demolition’s Graham Baxter, affectionately known amongst his colleagues as “Grumpy Graham”. Graham reports the shear to be a fantastic addition to their new Hitachi and is proving invaluable in processing the many types of metal coming out of the factory. He added “we do have a couple of burners on site too, helping with the bigger metal structures, but generally the shear is coping with most of it and performing very well indeed”. Kubota, the UK’s leading manufacturer of compact construction equipment, will be hosting a grand unveil of its new KX mini-excavator live on stand at this year’s Executive Hire Show at Coventry’s Ricoh Arena.